The anticipation of counting down each day until a holiday arrives is so much fun. The Birth of our Lord and Savior Jesus! Definitely an event worth looking forward to and talking about with our kids...a lot! 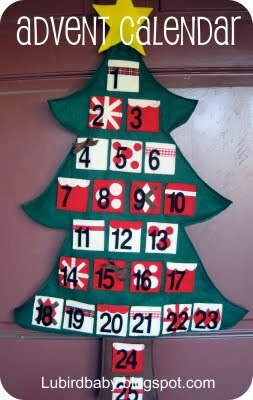 Last year I made this advent calendar for our family. when I saw this one I fell in love. Check out the details over at Mod Podge Rocks. LOL. 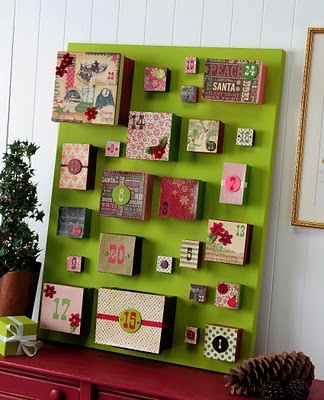 I have a whole folder of saved advent calendar ideas. (Yours is one of them!) I think you should get to make a new one every year. Just give the old one as a gift, or keep a few and let each kid have their own each year. I love your blog. Never commented before but have been reading since before your second baby was born! You are so much fun!